To lead a happy life all we need to do is think positive. Positive thinking has been proclaimed, explained and recommended, but practising and adapting it is the biggest ever challenge. A major flaw that happens within us when we decide to adapt to positive thinking is the difficulty to differentiate between the positive thoughts and negative thoughts. Again, categorizing the thoughts is really about an individual's own decision and it doesn't necessarily sound positive to the other (We sure have reasons to prove the negative as positive. Don't we?). Looking deeper within, we opt to a deadlier phase where we convince ourselves that our thoughts are positive (Just because they are beneficial to us). 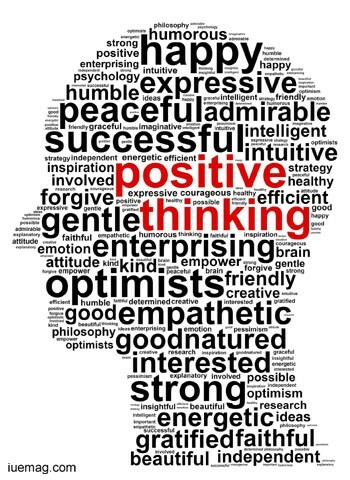 I strongly wanted to practise positive thinking and as an initiative I started following a lot of authors, blogs, Facebook pages and twitter hash tags. So, I read a lot over the time, but it was unclear on how I need to program my thoughts. I had a lot of random questions in my head every time I spoke to someone (Am I hurting them? Am I sounding negative? Am I being a bad influence? Am I ignoring them? Am I degrading them? Am I? Am I? Am I? ). It was a war within that I was fighting to win over thoughts and thinking. I really couldn't get over it for a long time and I knew I am going to end up nowhere if I rethink everything I am doing. I decided to follow two things that will lead me to a positive thinking life: one is to be responsible for every action of mine and the other is to be disciplined in all situations irrespective of family and friends (known for a longer time) and here I am happier than ever, leading a stress-free life. Usually, we tend to ignore responsibility and discipline among friends and family but that is a great mistake we do; they are the only ones who would help us to lead a flawless life. Ignoring mom's call is easy, but never a call from work is so easy, but you should text back to your mom not saying that you will call later, but specifying where you are and the time by when you will call back (this practice will be helpful in future when we have to write quick emails and messages). It is also easy to visit a known friend's home without being well dressed and not carrying a little something for their family. But you should be well dressed and carry a flower/chocolate to their home. It will be of great help in future as you have already done it all through your life, you will practise the same with your colleagues, business partners and new family members (we become a part of a new family on getting married). Positive thinking comes your way when you never let go of responsibility and discipline. Added to the positive thinking, you will be the most respected individual among your circle.